"As a result of growing less nutritious foods, most of the food we eat today is fortified with calcium and vitamins. Unfortunately most of the calcium used is not the type that is readily absorbed by our bodies, nor do our bodies recognize most of the synthetic vitamins that are added. Dr. Barnet G. Meltzer, M.D., a well known authority in the field of Preventative Medicine and Clinical Nutrition, says liquid supplementation is superior to tablets, capsules, and powders; one reason being that the binders used to make pills are not readily broken down by the body’s digestive system. According to Dr. Meltzer, while vitamin pills have only about 10% absorption (15-19% absorption for chelated vitamins), liquid supplementation has minimum of 85% nutritional absorption. Dr. Monica Marcu, Pharmacologist, concurs, saying liquid nutrition is better used by the body than solid nutrition. " Herbs and leafy greens are the perfect choice. There is a revolution in the manufacturing of some supplements and the products I have found below (Dyno Mins Zinc and Liposomal Vitamin C) are the exception. The proper fat in the liposomal form is the greatest health boon for absorption that has come along. Go here to read more about liposomal C, its health properties and even how to make your own. Alkalizing Your System Most fruits and vegetables (especially the dark green ones) are alkalizing. Exceptions are plums, blueberries, and cranberries. It is good to note that even something acidifying can still contain healthful nutrients. Meat contains CoQ10, which is needed for energy at the cellular level. Without it, your cells die. What you cook with has a huge impact. Microwaving your foods destroys their nutritional content and it does horrible things moleculerly to water. Aluminum cookware as we are all now more aware of is a huge culprit and let us not forget non stick coatings that recently have been outlawed. No thanks to the FDA who is always behind the curve on everything. Dr Revici, who developed a very unique cancer regimen, referred to foods as either anabolic (constructive) or catabolic (destructive); this was Revici’s way of categorizing foods that cause our bodies to turn alkaline or acidic. One thing he noted, along with a few other physicians (like Dr Albert Schweitzer), is that sugar and salt are catabolic. However, Revici was referring to white sugar and ordinary table salt ( celtic sea salt is anabolic because of all the minerals [colloids] it contains). Most sugars are acidifying. Honey is not. All products with sugar added are acidifying. Processed foods are definitely acidifying. Here is something I just learned and really have to pass on to you. Take any pickle from your local supermarket. It is terribly acidifying. Now, take a pickle that you made at home, using celtic sea salt organic non-pasteurized apple cider vinegar, fresh organic cucumbers (and onions and garlic and peppers) and fresh organic spices, and you have the exact opposite of an acidifier. You have an alkalizer. Again, this is just one more reason to eat organic whole foods. The Hidden dangers of microwave cooking. You will be so surprised. pH balancing drinks such as juicing greens is very good for both enzyme alakalizing an acidic system. Also alkalizing is lemon water or apple cider vinegar (organic) one tablespoon in full glass of water (just sip do not drink down). The Digestive tract and your immunity are interdependent. As is now more well known, pro pre biotics is important for intestinal flora replacement. What is not as well known is digestive enzymes. Enzymes are critical to cellular health. You cannot live without them very well and our dietary and cooking habits have obliterated enzymes out of the picture and not too many are talking about them. Ezymes are critical and essential for biochemical reactions. A deficiency or excess of any enzyme affects the efficiency, speed, and balance of these reactions. Detoxification reactions in the body are enzyme contraolled. Enzymes participate in virutally every biochemical reaction that takes place in the body. Enzymes are proteins that contain amino acids. Enzymes enable our bodies to renew old cells, and regulate hormones and nerve impulses. They also help metabolize nutrients into building blocks and energy. They also help remove wastes and toxins. Enzymes are critial to the function of vitamins and minerals in the body. Food enzymes include protease, amylase, lipase, and cullulase. these are not as strong as digestive enzymes. But food enzyems function over a broad pH range including the acid environment of the stomach while pacreatic enzymes (produced by the pancreas) work only in the alkaline environment of the small intestine. Enzyme deficiencies are common. Foods contain few if any after cooking and especially cooked in microwaves that destroy enzymes. Pasturizing foods removes them. Heating and refining deactivate them. pH imbalances due to high sugar and carb intakes make the body to high in acidity for enzymes to function. Raw fruits and veggies important, but with depleted digestion due to disease and age taking supplementation is suggested. My choice for price and efficacy is Solarays Digestaway. ﻿under construction, some herbs are being discontinued by the company and I am waiting to see what has to be removed and what will replace that particular combination of herbs. 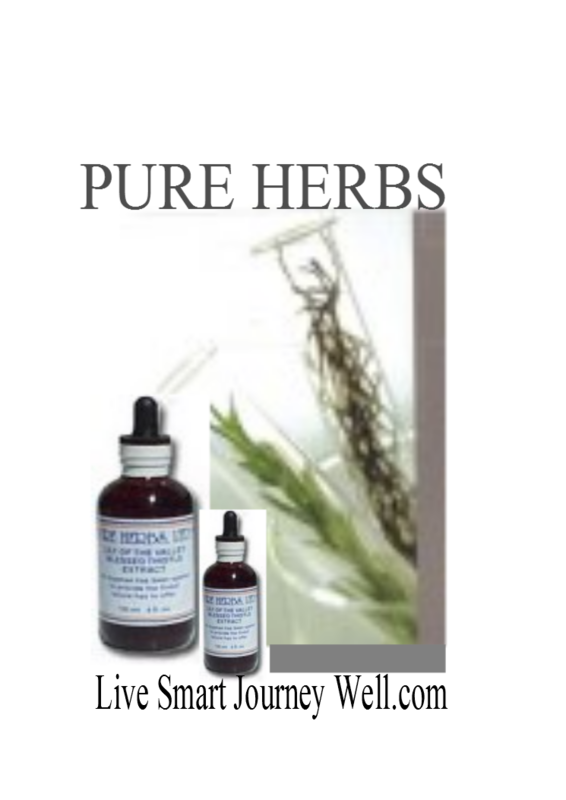 Pure Herbs Products list recommended for Immunity. Purchase page starting with the letter "A"
A.F.-R - Helps support a healthy immune system. (Herbal Adjustment, Golden Seal, Wild Rose Hips, Licorice Root). A.P.-W - Supports a healthy immune and gastrointestinal system. Helps to relieve occasional menstruation discomfort. * Helps to maintain a healthy urinary tract system. * (Parsley, Sage, Rosemary, Thyme). maintaining healthy digestion and adrenal support. * Barberry - Beneficial for digestive health, urinary tract health and the immune system. Purchase page starting with the letter "B"
Bee Pollen - Beneficial for energy, adrenal support and immune support. health. 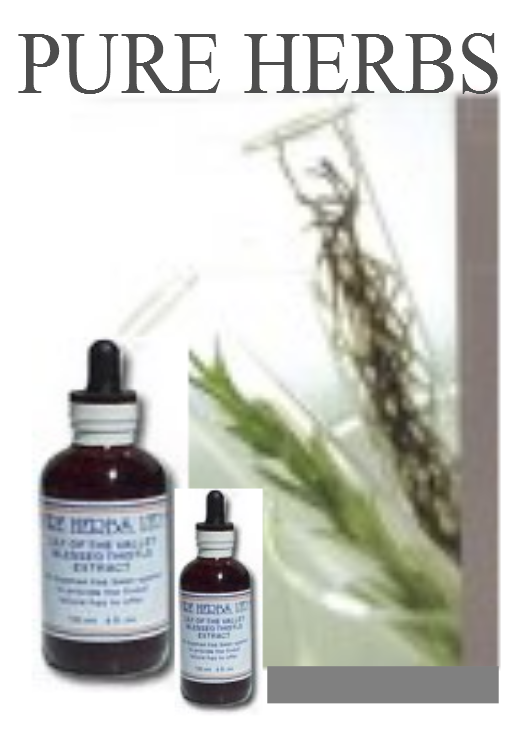 Pure Herbs Bee Propolis is beneficial for supporting your immune system; helps support healthy adrenal function; is beneficial for improving energy levels. 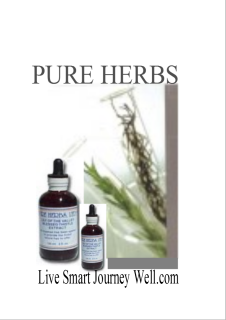 Purchase page starting with the letter "C"
C.C.-W - Helps to support a healthy immune system. (Sage, Eucalyptus, Bistort, Horehound, Wild Cherry Bark). Chuchuhuasi - is beneficial for maintaining joint comfort. Chuchuhuasi helps to enhance immune system. Coltsfoot - Pure Herbs Coltsfoot is beneficial for maintaining a healthy respiratory tract and immune system. Purchase page starting with the letter "G"
Grape Seed - Supports a healthy immune system. 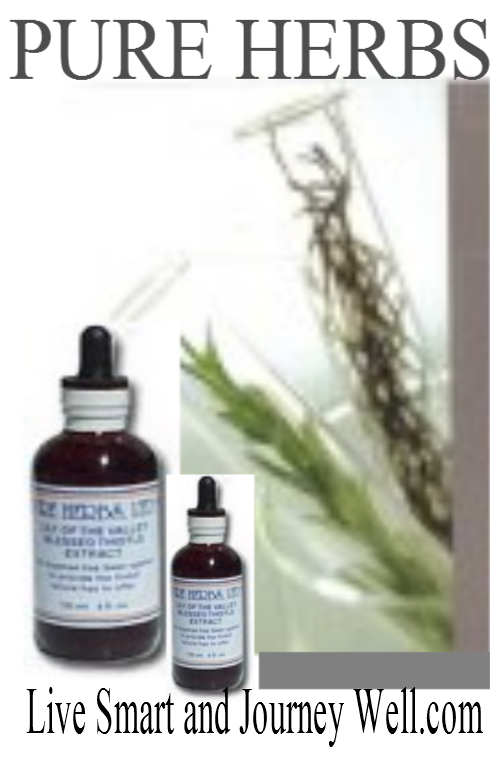 Horehound - Helps to support a healthy immune system. Inkberry - Helps to maintain a healthy respiratory and immune system. Korean Ginseng is beneficial for maintaining a healthy immune system. Helps maintain joint comfort. Lapacho - is beneficial for the immune system. It is also incredible for fungus and yeast infections. Particularly systemic infections. Myrrh is beneficial to boost the body's immune system. Plantain - Helps in the healthy development and maintenance of bones, teeth, night vision and supporting the immune system. Pumpkin Seed - Helps to support a healthy immune function. Beneficial for nourishment of hair and nails. Red Clover - Helps to maintain a healthy immune and respiratory system. Reishi Mushroom - is beneficial for immune system support. Supports healthy blood pressure already within a normal range. Safflowers - Supports a healthy immune system. Helps support digestive function. Spikenard - Supports a healthy respiratory and immune system. 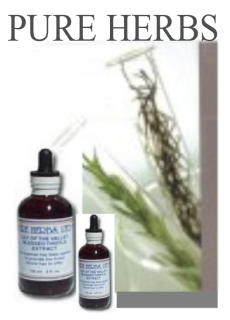 Beneficial for relief of occasional muscle and joint discomfort associated with exercise. Sunflower Seed - is beneficial for maintaining healthy lungs thereby promoting healthy immune function. Sutherlandia - Supports a healthy immune system. (Wild Rose Hips, Golden Seal, Myrrh, Chickweed). (Myrrh, Olive Leaf, Wild Rose Hips, Yarrow). (Blue Flag (Wild Blue Iris), Spring Violet, Yarrow). Helps to support a healthy immune system and lung health. (Plantain, Echinacea, Coltsfoot, Horehound, Myrrh, Blessed Thistle, Juniper Berries, Yerba Santa). (Juniper Berry, Marshmallow, Mullein, Sweet Root, Carpenter's Square, Black Cohosh, Sarsaparilla, Lapacho). - Beneficial for the maintenance of blood health. Helps to maintain a healthy immune system. * Provides nutrients for overall good health. (As seasonally available) Lamb's Quarters, Inkberry Leaf, Swiss Chard, Collard Greens, Dandelion Leaf, Narrow Dock, Radish Leaves, Kale, Curly Leaf Mustard, Spinach, Horseradish Leaf). I used this to save my life after contracting West Nile just after recovering from 4th stage liver cancer. Talk about the one two punch. systems), antibiotic, varicose veins, infections of veins, diabetes..
premenstral tension; decreased progesterone production leads to sugar and salty food cravings. A simple taste test can determine your need. Or you can do a hair analysis. Swig a zinc sulfate heptahydrate, widely available as a liquid supplement ( not the ideal I show you below a superior zinc) Swish it sournd in your mouth. If you immediately notice its bitter taste, you don't have a deficiency. However, if you taste nothing or have a delayed recognition of the taste you need to replenish your zinc supply. Our land is barren of minerals and high carb diets are leaving us vulnerable. Calcium supplements and high calcium diets can reduce zinc absorption up to 50 percent. The mineral is quickly expelled from the body by stress whether emotional, physical or chemical. Exposures to pollution, toxic metals, pesticides (think of the air we breath when they spray for mosquitoes!) Growing old we do not secrete enough digestive acids to break down supplements and food. Add to that prolosec and other antacids and pepto bismol!!! zinc dependent thymus hormone, thymulin is almost undetectable in Alzheimers patients. Zinc plays a role in its onset. Vegetarians are very depleted of zinc. 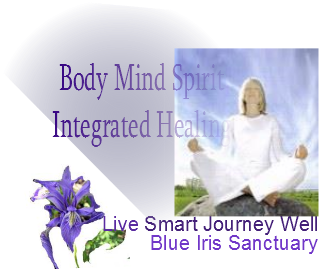 My personal experience: due to long standing stress, I had developed purpura. Red dots all over my lower legs and ankles, blood had pooled under the skin and easy bruising had developed. I took this particular zinc Dyno Mins by the fourth day it was gone. I sensed that I had a deficiency despite taking a good multi vitamin. Dyno-Mins Zinc supplies highest quality Phytavail Zinc from pesticide-free, hydroponically grown plants. Unlike other food grown minerals, Phytavail Zinc is 100% yeast-free. Dyno-Mins Zinc employs the exclusive Dyno-Mins Dynamic Mineral Transport System. Specific organic transporting agents for zinc, including aminoate, picolinate, aspartate and ascorbate, maximize Phytavail Zinc bioavailability and utilization. Dyno-Mins Zinc contains true organically bound mineral chelates, specially coated with acid-resistant protection for increased absorption in the intestines. Mineral aminoates are brown rice chelates. What are some common zinc deficiency signs? this is an Amazon link, for best price. I do not make but a 26 cent referral fee. I put this here for your benefit as it is not as common in the stores as one would hope. Another immunity issue: most are Vitamin C deficient. Astoundingly, even when taking supplements. Read this article on understanding your nutrition deprivation despite taking supplements and return to purchase the right vitamin C for dynamic health improvement. ﻿Lypo-Spheric Vitamin C - ﻿is the strongest oral Vitamin C available!Current clinical trials by well known Vitamin C expert and pharmacologist, Steve Hickey, PhD, show that Lypo-Spheric Vitamin C is able to create serum levels of Vitamin C almost double what was originally thought possible with Vitamin C in an oral form.Squeeze the contents of one packet into your favorite juice or other cool beverage. The gelatin-like liposomes disperse with a stir and add little or no taste to your drink. It's easy to swallow and soon millions of "Smart" Lyposomal Nano-Spheres loaded with liquid Vitamin C race to your liver. Once there, the essential phospholipids and the Vitamin C will be unleashed to perform their powerful health-promoting, age-reversing work!Each 0.3 oz. packet of Lypo-Spheric Vitamin C contains 1,000 mg of Vitamin C and 1,000 mg of essential phospholipids. It's the most bio-available, anti-aging, health-promoting, easy-to-swallow Vitamin supplement around!The phospholipids encapsulating the Vitamin C range in color from light orange to dark brown.Lypo-SphericTM Vitamin C FAQ's Q: Why do the Lypo-SphericTM Vitamin C packets get puffy?A: When the product combines with oxygen in the packets, Carbon Dioxide (CO2) is created and this causes the packets to swell over time. Carbon dioxide is not harmful to the liposomes or to your health. In fact, this gas is used to make soda pop fizzy. My doctor suggested Livon's Lypo-Spheric Vitamin C and GSH. My understanding is that the water soluble vitamins are encapsulated in fat soluble phospholipids so the vitamins get delivered to the liver instead of being lost in digestion. What I do know is that I have a lot more energy when I take these. I mix them with some grape juice each morning about 15 minutes before eating breakfast. The first week, I had to nap in the afternoons - I was worn out from working harder each morning as I have a chronic illness, Lyme disease. I've been taking them for two weeks now, and find my energy level stays high for about 6 or 7 hours after taking these. They are not inexpensive, but considering that I am more able to work consistently with them, the investment is worth it. In it Dr Levy explains that the best option for acute infections is a combination of liposomal vitamin C and vitamin C by IV and that given a choice of only one or the other, the better choice is liposomal vitamin C. The fourth best option is ascorbic acid taken orally and the fifth best option is sodium ascorbate taken orally. MY COMMENTS (Adelle ) I used IV version of 100,000mg Vitamin C IV during 4th stage liver cancer. It helped save my life. But I must say it was so difficult. 8 hours a day for three days a week. Expensive. Liposomal C was not available at that time or I would have done that instead. I would have saved $ thousands ! and the pain of that kind of IV administration.